Established more than 30 years ago, Uptons supplies the Victorian, Tasmanian, NSW and Queensland markets with a range of a quality building products. 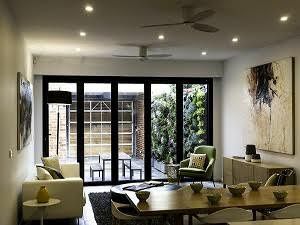 As the exclusive Australian distributor of SHIELD doors and windows. We offer quality double glazed aluminium standardized products in addition to custom sizes fabricated to customer requirements. This combination of custom and standard offerings provides for a broad range of models and prices, making us the ideal supplier for builders of quality homes and DIY customers in the domestic and commercial sectors.